​​We are the specialists in crafting fine adirondack furniture since 1999. Increasing demand for our product continues to open new residential and commercial markets in this country, Europe and the Caribbean Islands. Using premium grade teak and hardware designed for outdoor use, our products are guaranteed to provide comfort and relaxation for years to come. Choose from our 12 unique styles to outfit any outdoor area. To ensure product arrives safely, chairs are shipped flat packed and usually requiring only four parts to be connected (two sides, one seat, one back). ​For large projects we offer several collections that are only shipped by 20' and 40' containers, directly from our factory in Indonesia. While these collections would fit perfectly well in residential settings, commercial or hospitality uses are also appropriate. Our philosophy about teak furniture is different than most. While all around we see designs and styles that minimize the use of teak wood by substituting with aluminum or adding sling fabric material, we have gone the other direction. Slim and sleek won't be found in descriptions of our furniture. Instead you'll read masterful, bold and rock solid. Everything in the design of our styles has been about making a statement with teak. From our first ad campaign announcing to all adirondack furniture, "Your king has arrived! ", we knew we made teak furniture different than the rest. Which is precisely our desire. We've added thickness to our parts (some legs are over 3" thick!) to give unheard of stability and strength. We've also added extra dimension to provide more room and comfort than any teak designs we have ever seen. While many adirondacks do have similar designs, Douglas Nance continues to find improvements on this bit of treasured Americana furniture staple. 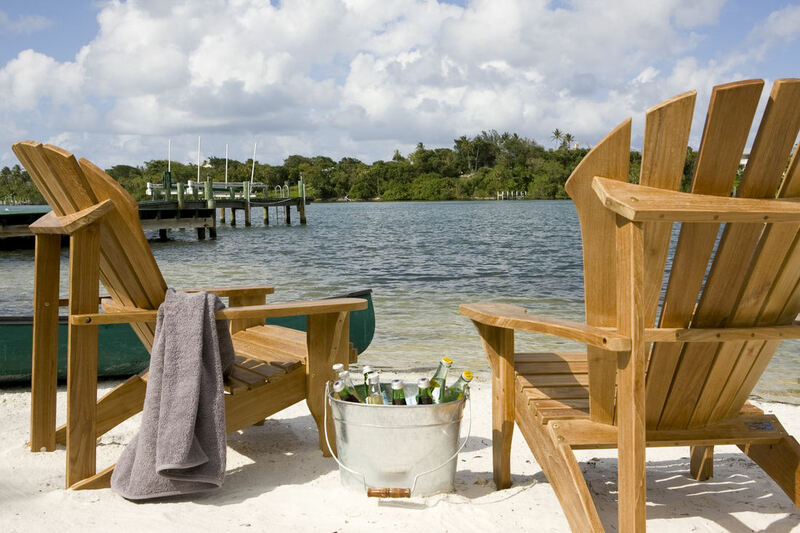 Raising or lowering armrests, adding curve to the seat, adjusting the backrest to the perfect pitch, using premium cut teak and rust-free hardware are all qualifying identities of our adirondack chairs lines. 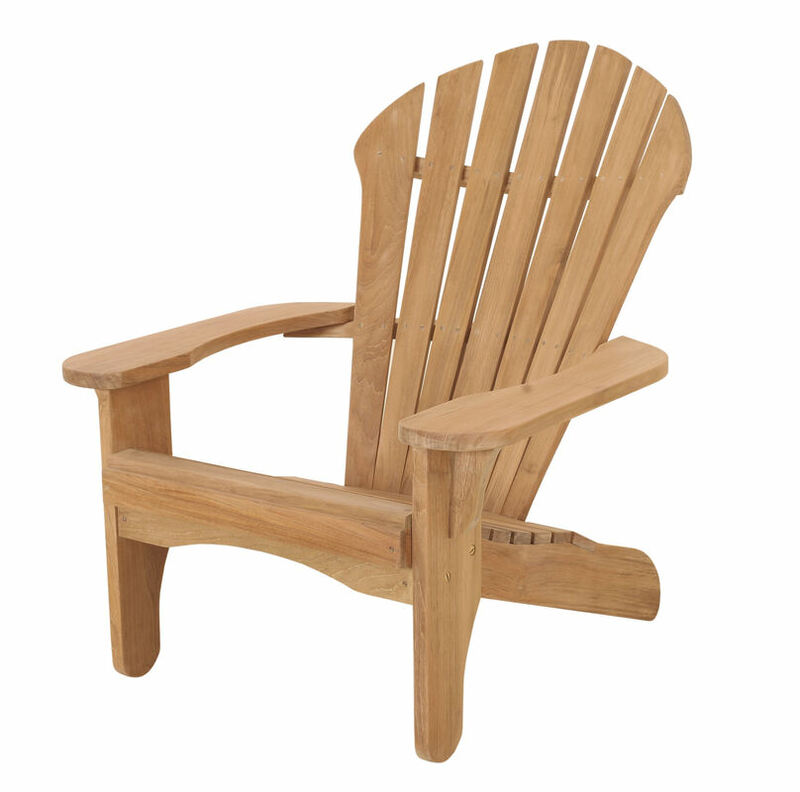 Our newest adirondack, the Bahama Adirondack Chair, offers a combination of teak and all weather wicker. We currently offer 15 deep seating collections for the ultimate in outdoor comfort. Cushions are constructed with performance fabrics to be enjoyed in all environs. Douglas Nance furniture is perfect for both home and commercial uses. We invite you to view our collections to see for yourself the wonderful difference of Douglas Nance furniture. Take a look at the sloping curves cut into the strong legs. Follow the arching tops as they crown many of our sty﻿les. View the thick braces evoking a sense of stability and strength. Compare our weights and dimensions and you will agree that Douglas Nance teak furniture has positioned itself well apart from the common and usual.